When will it finally begin? Some say it’s beginning now. 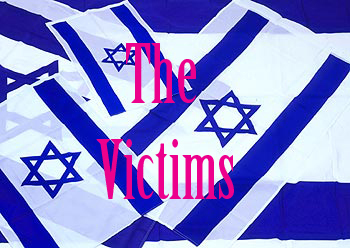 A timely article as we are faced with a wave of pro-Israel supporters of peace. Here in the USA, we have JStreet, the pro-Israel lobby that has taken on the roll of the moderate Jew. They are praised for their compassion and outspoken criticism of the Gaza massacre as they try to get a balanced view presented to the American public. Look closer at this sheep; behind the wool, you’ll see the sharp fangs and piercing eyes of a wolf. You can almost fall for the act of empathy and, had my heart not grown so cold from horrific images of suffering that have permeated every cell of my body, I could had fallen for it, too. This wonderfully crafted piece of propaganda, written by Walter Russell Mead, is titled Change We Can Believe In. At first glance, we see a position of empathy, but if you study it closely, you’ll start to see the same zionist crap in a pretty new package. It’s eight pages long, so print it out and appreciate the delicate skill of placating a zionist agenda in peace-loving prose. Don’t be fooled. If this is the peace plan that is going to take center stage in the Obama administration, we need to speak out against this loud and clear. We are a very long way from a Jewish majority that actually acknowledges the injustice done to the Palestinians these last 60+ years; Until that happens, there will be no peace offering that will sustain. We must continue to pound away with the facts and not let these “moderates” flood the media with this watered down appeasement of reality to propel their own self-serving interests. Some people close to me have said I am not being fair – that I’m not giving peace a chance. Every day, I try to be optimistic and look for hopeful signs, but I have yet to see an Israeli shed a tear over the fuffering in Gaza. Not a single tear. What does that tell you? We have a long way to go. We have a TAXPAYER FUNDED “holocaust museum” in Washington DC, and photos of the Ethnic Cleansing of Concentration Camp GAZA should be the first thing one encounters at the front door…………… If they refuse, they are DISCRIMINATING ………. IF, Israel wanted peace, it would FLOOD Concentration Camp GAZA with food and healthy economic activity. Did America massively shoot Black Americans dead in the streets and use Jet Fighters and launch Artillery and Missiles into CIVILIAN areas? NO! Israel does so because Israel wants Ethnic Cleansing, NOT peace. Where is the serious “Conflict Resolution” attempt, where is Israel’s Recognition of the PALESTINIAN’S RIGHT to EXIST!? Israel demands the Palestinians “repudiate” this and that …Does Israel REPUDIATE the TORAH???? Israel was APARTHEID South Africa’s ONLY ally, trading weapons, torture techniques, ILLEGAL NUCLEAR TECHNOLOGY, with them. Today Israel carries on APARTHEID with it’s wall, and laws such as Palestinians must have different colored ID cards and license plates, use separate roads, be subject to constant bigotry. Anti-GENTILISM is the problem. There was no such thing as “anti-semitism” until the Old Testament of the Bible, especially the Torah created it. They codified hatred of all NON-Jews (GENTILES) in their religion, and now wonder why Gentiles are “anti” them. So-called “antisemitism” is not “hate”, it is the normal reaction of any SANE person to a Group, Society, Organization, that openly preaches IT’s hatred of You. Judaism has been preaching it’s Hatred of NON-jews for thousands of years, and THAT is why any NON-jew with self-esteem, and self-respect, is PRO-Gentile.. Nothing – not even its own history – will stop Isreal from turning Gaza into the world’s largest concentration camp. Apart from the US, the rest of the world knows who is David and who is Goliath. The numbers: 13 deaths vs 1,300 paints it own story.